A description of each of the methods above and their various sources are listed below. Bitcoin Exchanges work like a bureau de change or money changers, and allow convenient conversion from fiat currencies (USD, GBP, Euros, Yen etc.) to cryptocurrencies (bitcoin and altcoins) and vice versa. You may also transfer funds from your bank account to your account on the Exchange so that trades or purchases can be executed quickly and easily. Different Exchanges have different methods of payment accepted. Some allow bank and international wire transfer, while some deal only with bitcoin and altcoins. Some will accept payments by PayPal or ApplePay, while one converts between bitcoin and physical gold. Before you can start trading or buying bitcoin at Exchanges, nearly all Exchanges today will require you to register for an account and complete an identity verification process in order to meet with Know Your Customer (KYC) and Anti-Money Laundering (AML) regulations. Nearly all Exchanges do not require a setup fee, although one or two may request a very nominal sum for account setup. As things change and progress rapidly in the world of cryptocurrency, and while the individual feature of each Exchange listed in the table below is correct at time of writing, you are advised to visit the site to find out if any payment method has been altered, and if new ones have been introduced. Another thing to note is, which exchange site you use will largely depend on your geographic location as well as bank locality. This is so that high international telegraphic transfer fees can be avoided as you transfer fiat currencies between your bank account and exchange wallet. In other words, an exchange that uses the same bank as you do, or shares the same locality as your bank would be the most convenient when you buy or sell bitcoin. Go to Buy and Sell Bitcoin by Country for a listing of exchanges by country and geographic location. Exchange sites such as those listed above are usually suitable for those who trade regularly or move between cryptocurrencies and fiat currencies in higher quantities more frequently. For the person who wishes to buy bitcoin in smaller quantities, e.g. 1 or 2 bitcoin or in partial bitcoin, the following sites may be more suitable and convenient. The rates here may be higher, but in any case, do check and make comparisons. LocalBitcoins and Remitano are two of the more popular places where one can buy and sell bitcoin through brokers and individual traders. Watch the following video on how to buy and sell bitcoin on LocalBitcoins. Go to Buy and Sell Bitcoin by Country for a listing of brokers and individual traders by geographic location. A bitcoin kiosk sitting next to a National Australia Bank (NAB) ATM in Central Sydney, Australia. A Bitcoin Kiosk looks like a regular bank Automated Teller Machine (ATM). 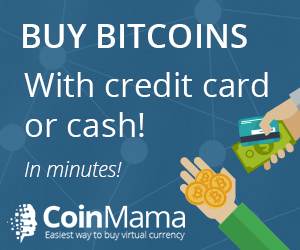 The only difference is, cash is inserted in exchange for bitcoin, which is transferred directly to your wallet upon successful payment of cash. Bitcoin Kiosks convert in both ways between bitcoin and fiat currencies, and may be found at certain shopping malls, restaurants, cafes and 7-11. At the moment, they are not as ubiquitous, with only over 1,000 spread across the world. Coin ATM Radar provides an updated list of where these Bitcoin ATM or Kiosks are. Click on the image map below to open Coin ATM Radar’s website on a new browser tab. For the more serious bitcoin user who wishes to be involved in bitcoin for the longer term, either as a user or an investor, bitcoin mining may be a feasible way to acquire bitcoin. Bitcoin mining is an activity best participated by joining a mining pool or community these days. For more information on what bitcoin mining is, see Bitcoin Mining in the main menu above. Coin Purveyor is involved in bitcoin mining activity. To find out more on how you can participate in mining, head to BCN in the main menu or click here to learn how you can start generating bitcoin for yourself!